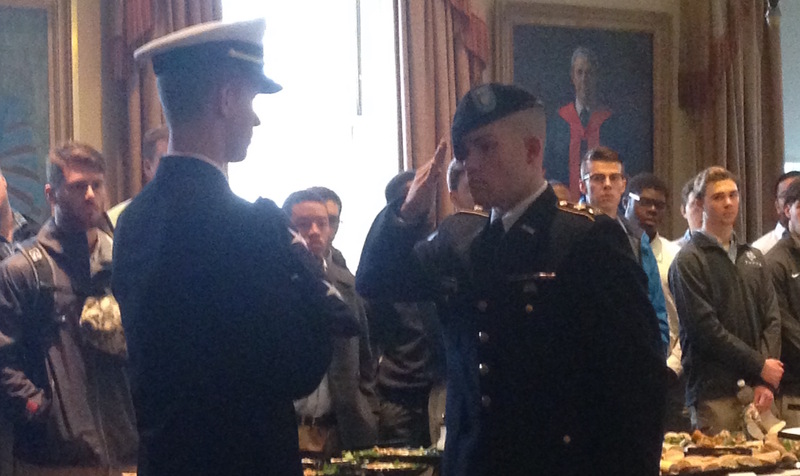 Every year, ALLIES attends the passing of the flag ceremony held by Tufts Advocates for ROTC. It involves the ceremony, conducted this year inside Ballou Hall due to construction on the Memorial Steps, and then a few speakers afterward to discuss the importance of the holiday to Tufts community. ALLIES is always invited to attend and enjoys the opportunity to meet past current ROTC cadets and midshipman as well as Tufts veterans and active service members. The ceremony always brings an incredibly diverse set of people together and shows the need to think on veterans not just on November 11th but every day of the year.